Lets see simple Java code to create Binary Tree and to find the size of the tree as well. In this tutorial we will see how to do postorder traversal using iterative method instead of recrusive algorithm. We are going to use single stack to store nodes and applying our logic over it to get postorder traversal. Simple Java code to create Binary Search Tree and doing postorder traversal using iterative method. Given a sorted array array of n elements and need to find the element 'val' present in the array or not by using Binary search technique. NOTE: Binary search works only on sorted array. 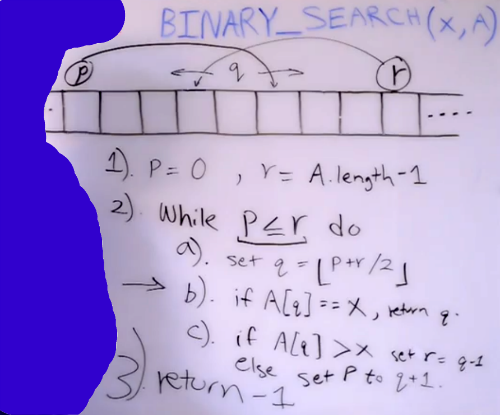 Lets see simple java code for Binary Search. 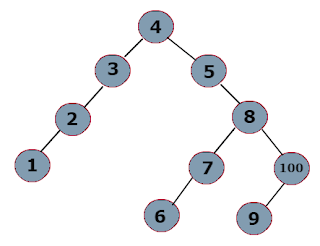 Given a binary tree, you need to compute the length of the diameter of the tree. 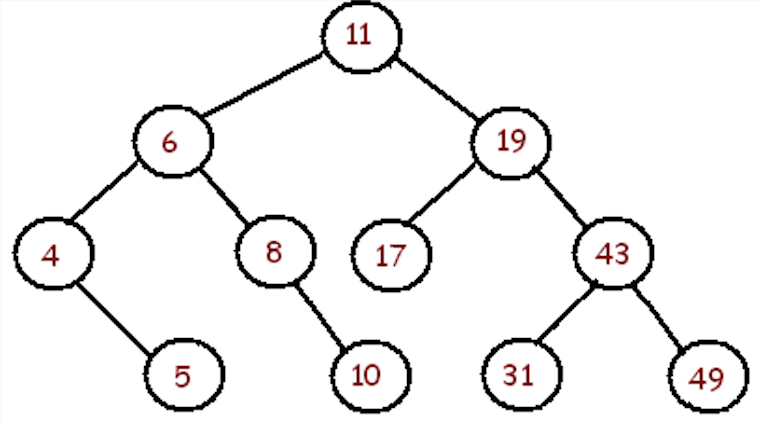 The diameter of a binary tree is the length of the longest path between any two nodes in a tree. This path may or may not pass through the root. The length of path between two nodes is represented by the number of edges between them. 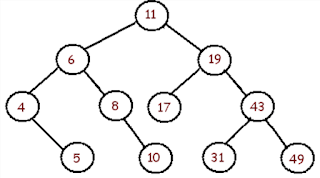 From the given below Binary tree diameter for both will be 9. Lets see simple java code to create binary tree with the given array of integers and need to find the diameter of that. 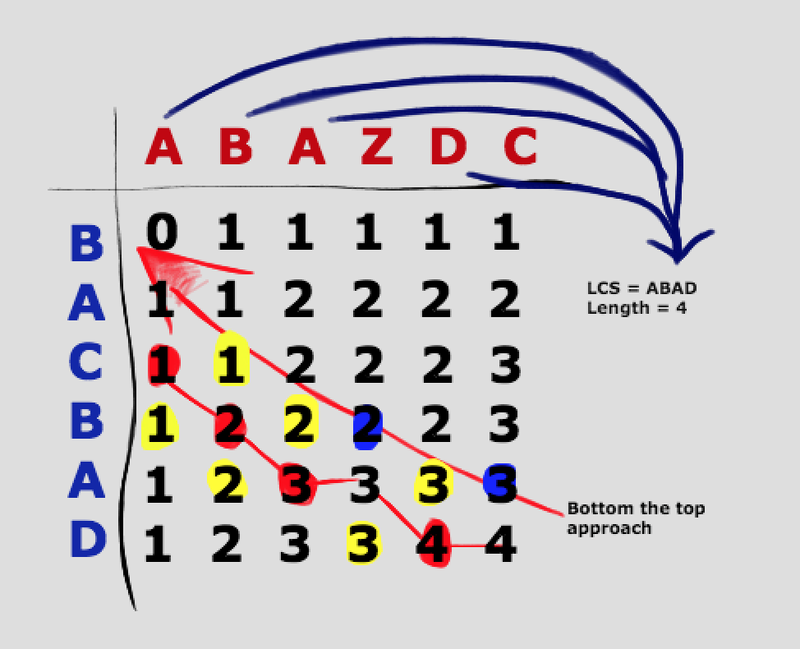 The Longest Common Subsequence (LCS) problem is given with two strings like "ABAZDC" and "BACBAD". LCS is to find their longest common subsequence that appear left-to-right but not necessarily in a contiguous block in both the strings. 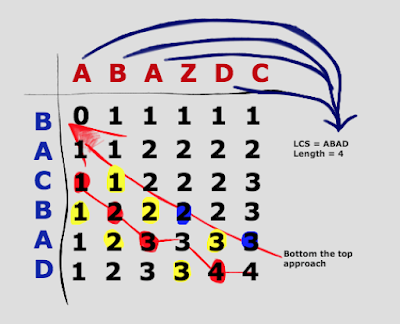 Here we will see how to achieve Longest Common Subsequence (LCS) algorithm using Dynamic Programming using Java. Here the Longest Common Subsequence (LCS) size will be 4 and the Longest Common Subsequence (LCS) will "ABAD". How to find Longest Common Subsequence (LCS)? Whenever any character matches with both the array then we need to increment the value by 1 and carry on with same comparison for all rows and columns. Same comparison will be done using recursion and by storing the value to achieve dynamic programming. * iterating from bottom to up.